The newest issue of Kadansha´s Nakayoshi has revealed that a new project related with th CLAMP classic, Card Captor Sakura, is being in the works. The facts are still scarse but it has been revealed that it will be for the 20th anniversary of the Manga. Ten-year-old Sakura lives a pretty normal life with her older brother, Toya, and widowed father, Fujitaka. At least she did, until the day she returned home from school to discover a glowing book in her father’s study. After opening the book and releasing the cards within, Sakura is tasked with collecting each of these magical cards, while trying to live the life of a normal fourth grader. In the monumental task of collecting all the cards, Sakura must rely on her friends and family, and decide what she finds most important in life. 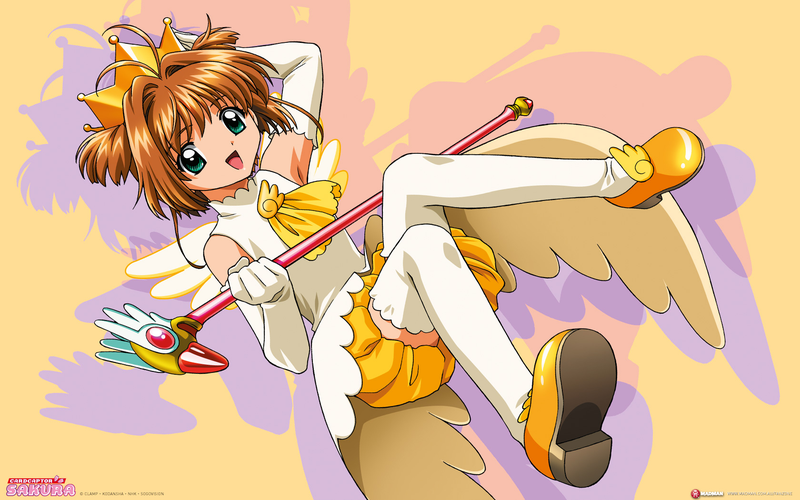 I remember watching the Anime, back in the day (In Latin America we received the original uncensored version and not the “Card Captors” one) and loving it! so i will be looking forward for it.